Google recently added a tool to Drive that allows you to conduct Google searches without ever leaving your Drive window. All you have to do is click "Tools" from the menu bar and choose "Research" from the dropdown menu. This is a handy Google hack I use every day. Basically, it allows you to do a Google search that's limited to a particular website. 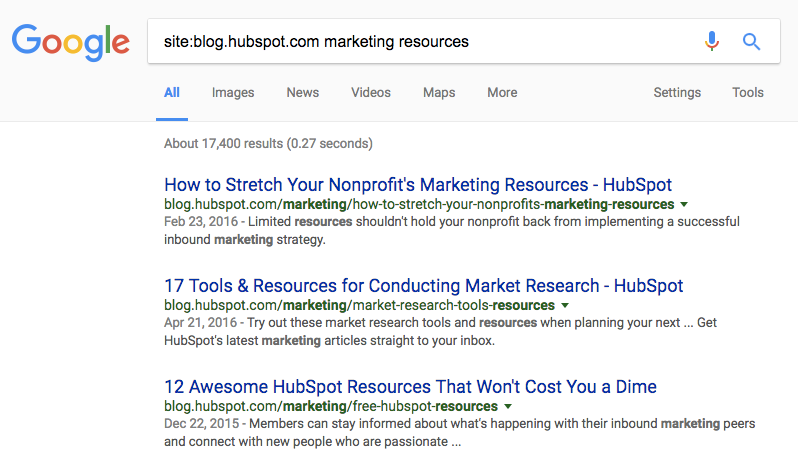 For example, if I wanted to search HubSpot's blog for marketing resources so I can cite one of our old blog posts, I'd do a site:search for blog.hubspot.com with the search term marketing resources. The formula for site search is site:samplewebsite.com [search query]. So my example would be site:blog.hubspot.com marketing resources. 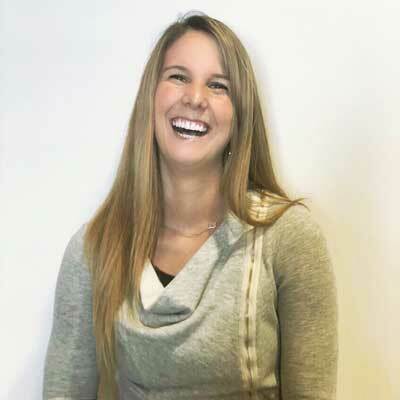 Doing SEO and keyword research? Your marketing software should be able to help. But if it can't (or you'd like to augment your data), Google's Webmaster Tools can be a great help. You can check things like the number of indexed pages on your website, submit your site to Google so you're getting crawled and indexed, and even disavow bad inbound links. It also can give you information on search queries that have a large volume of impressions but low clickthrough rate. Within Google Webmaster Tools, go to "Your site on the web" and choose "Search queries." You'll see a table showing a search query, impressions, clicks, and clickthrough rate (CTR). Comparing this data to your other analytics data can help uncover some opportunities. I can't even begin to tell you how useful this little calculator is when looking for and analyzing data. Ever want to know the percentage change of two values without having to remember the formula? Simply enter the two values into this calculator, and it'll spit out the percentage change. Trust me, you'll want to bookmark this one. 3-Way Percentage Calculator – Calculates answers to these questions: What is X% of Y? X is what percent of Y? X is Y% of what? Conversion Rate Calculator – Spits out a conversion rate when you enter the total visitor count during a specific time frame and the number of times during that time frame those visitors took a specific action. A/B Test Calculator – Works for a basic scenario with two groups of people (A & B) who get to see one version of your website and for whom you track the number of conversions or goals (purchases, downloads, clickthroughs, etc.). ROI Calculator – Analyzes your website's monthly sales and lead generation efforts to determine ways in which marketing efforts can be optimized. You know that coworker who always seems to find the perfect animated GIFs for your social posts or internal chat client? With the free Giphy Chrome extension, you'll be able to find great GIFs just as quickly. 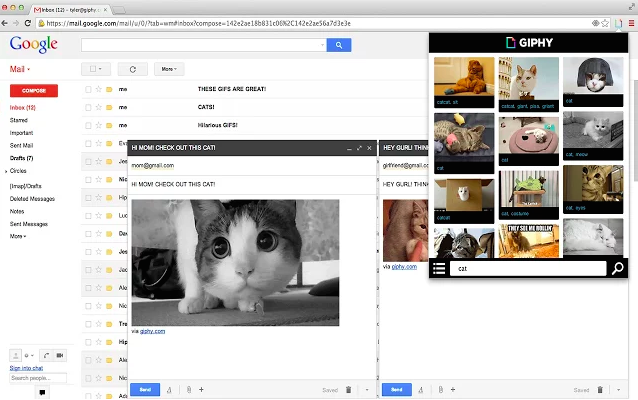 To use the tool, all you have to do is open the extension in Chrome, search, choose a GIF, and drag and drop. So far, the tool works in Gmail, Twitter, Facebook, and more -- and they're constantly expanding support. I use the free version of Evernote every single day. From to-do lists and research notes to writing entire chunks of articles, it's proven helpful at every step of the writing and editing process. One great feature? Its mobile, desktop, and web apps sync automatically as long as you have an internet connection. (And if you work offline, it'll sync the next time you have internet.) Plus -- and this is super important for content creators like us -- it's constantly saving and syncing your work automatically, making it a safe place to write and store ideas. Use it to keep a running list of ideas, take notes, store inspiring articles or ebooks, or plan your editorial and social media publishing calendars. If you like drafting blog posts in programs like Microsoft Word, Evernote, or Google Drive instead of your content management system (CMS), then this simple tool can be your best friend. Why? Because when you copy a document from Microsoft Office and paste it into your CMS, lots of little, weird formatting issues can crop up in your HTML. Word2CleanHTML applies filters to fix all those things added into the HTML, resulting in well-formatted HTML you can paste directly into a web page CMS. Simply paste in your draft, click one button, and then copy the resulting HTML straight from the tool. When you paste that into your CMS (most will have buttons reading "HTML" or "</>" in their tool bar above your draft), it will appear nice and clean. No hair-pulling or swimming through code required. There is no "right answer" for how long a blog post should be. As long as it serves its purpose -- whether that's thought leadership, driving leads, explaining a new concept, or something else -- length doesn't matter. But although we don't recommend writing blog posts with a word count in mind, sometimes word count can come in handy. WordCounter works exactly the way you think it does: Paste in your content and it'll spit out exactly how many words you have. According to a study out of the University of Chicago, "A moderate level of ambient noise is conducive to creative cognition." In other words, being the tiniest bit distracted actually helps you be more creative. That's why for many people, myself included, white noise helps promote focus. There are a lot of white noise generators out there, but my favorite is Cofftivity. This particular one offers non-stop café background sounds at varying intensities, from "Morning Murmur" and "University Undertones" to "Lunchtime Lounge" and "Brazil Bistro." It's available on the web and as an app on iOS and Android. Need to start creating content but don't have the bandwidth? We hear about this roadblock a lot. One way to get around it is by hiring freelancers from reputable marketplaces like Zerys or eLance. These resources give you access to skilled freelance writers who can write blog posts, ebooks, whitepapers, and other pieces of written content for you. While this isn't strictly a writing resource, basic coding knowledge is quickly becoming a must-have skill for the modern marketer -- bloggers and written content creators included. But learning from scratch can be daunting. Where on earth do you start? If you're a total beginner, start with HTML Hacks for Marketers, which my colleagues at HubSpot created with Codeacademy. It'll teach you quick but useful hacks anyone -- regardless of coding knowledge -- can use in their marketing. For example, you'll learn how to make small changes to HTML like altering headers and spacing, creating text in block-quote form, and inserting social share links. My personal favorite is the hack to change font colors. Once you've mastered these basic HTML skills, move on to Codeacademy's free interactive courses. They found a way to make learning HTML and CSS actually fun -- and you can go through each lesson at your own pace. If you need to get to writing blog posts but aren't sure of an angle or title to get your creativity moving, HubSpot's Blog Topic Generator can do the work for you. Simply enter a few keywords that your blog focuses on, and the Blog Topic Generator will produce a week's worth of titles and topic ideas for you. It might not produce the final title of your blog post, but it helps get you thinking about creative new angles for topics you've written about before. All blog posts aren't created equal, but we've found that there are steps you can take to make your posts comprehensive and shareable. With these blog post templates, we'll walk you through an outline to write successful how-to, listicle, newsjack, and curation blog posts. 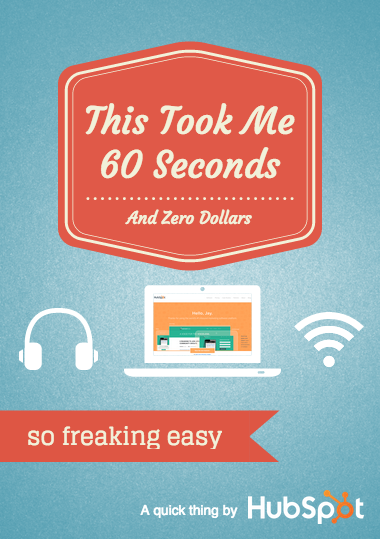 Instead of starting from scratch, you'll save time and, hopefully, nail your blog goals. Creating a balanced editorial calendar can be tough, especially if you don't have one centralized calendar that you and your team can refer to. To save you time and headache, we've created editorial calendar templates for Google Calendar, Google Sheets, and Excel that you can fill in and share with your team to start the next month or year off on the right foot. While human editors will be able to catch most grammatical errors, editing tools like Grammarly and Correctica are great tools for triple-checking before you press "publish" or "send." 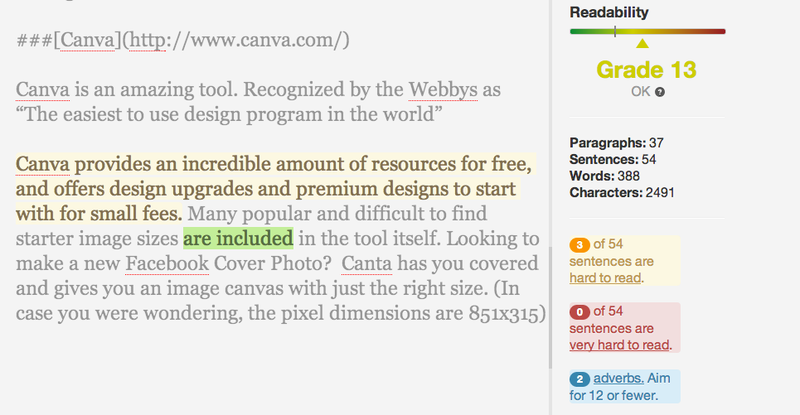 Both free tools check for grammatical errors -- and Grammarly even checks for plagiarism. Ernest Hemingway, admired for his succinct writing style, is the namesake for this handy editing app. Want to make your written content easier to read? 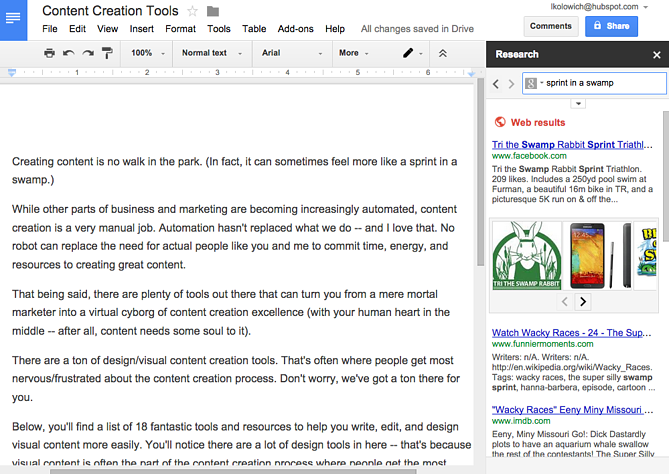 Paste your content into this free web app, and it'll assess your writing and identify opportunities to make it simpler. Here's a scary stat for you: Only 60% of people who click into an article end up reading past the headline. That makes your headline both the first and possibly the only chance for you to compel readers to keep reading -- so it's totally worth it to spend the extra few minutes coming up with a really good one. 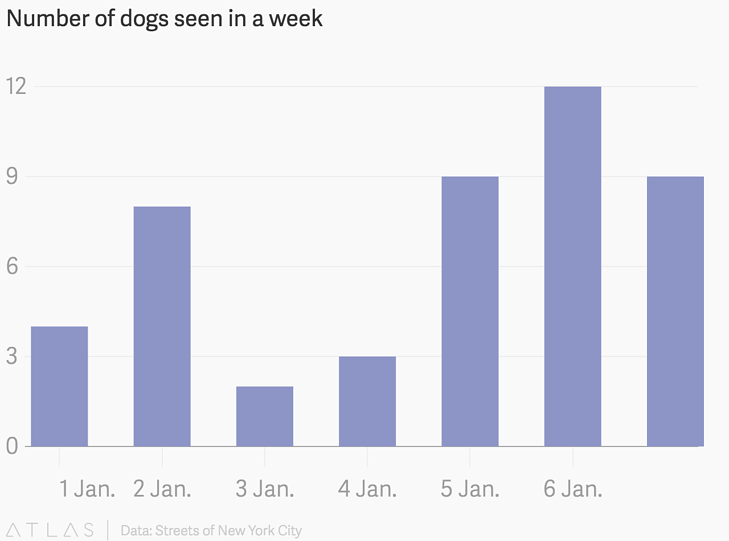 What does a really good headline look like? The free tool Headline Analyzer by CoSchedule can tell you. It scores your headline quality and rates its ability to drive social shares, traffic, and SEO value. In my experience, its strength is helping you strengthen specific components of your title. For example, it reports on perceived sentiment and commonality of word types. It'll even show you how it will appear in search results. This is another tool I use every day. Sure, you can capture a screenshot of your entire screen or part of your screen using the old keyboard shortcut method. But what if you want your screenshot to include stuff that's not visible on your screen? 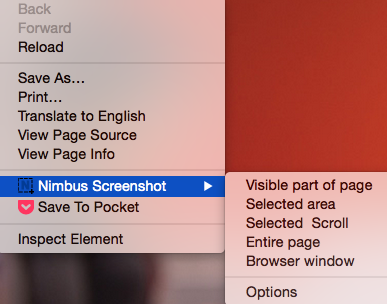 Nimbus Screenshot lets you capture the visible part of a web page, a selected area, a selected scroll (my personal favorite), the entire page, or the entire browser window -- including everything below the fold. Once you've taken the screenshot, you can crop, edit (like adding notes and callouts), and choose to print or save to your desktop or Google Drive. If you like creating beautiful visual content in a really short amount of time, you'll love Canva. The time and resources it takes to learn design, pay for design assets, and/or get inspired to create beauty from scratch can be really difficult when you're staring at a long list of to-dos -- but Canva offers a huge library of pre-made templates and assets that you can manipulate while also adding your own imagery. Best of all, they have so many assets and graphics available for free that you won't have to pay a cent if you don't want to. If you want to use more "premium" assets and graphics found through their image search, they'll charge you $1 for each. But there's plenty of value for free. In the example below, I opened the program on my desktop and used the "Screen Snap" button to take a screenshot of a web page -- which then opened right in Skitch for editing and exporting. Although it's free, it does require you to open an Evernote account -- but that's also free (see above). While similar to Canva, Infogram is a visual content tool that focuses on helping you create infographics, charts, and data visualization. 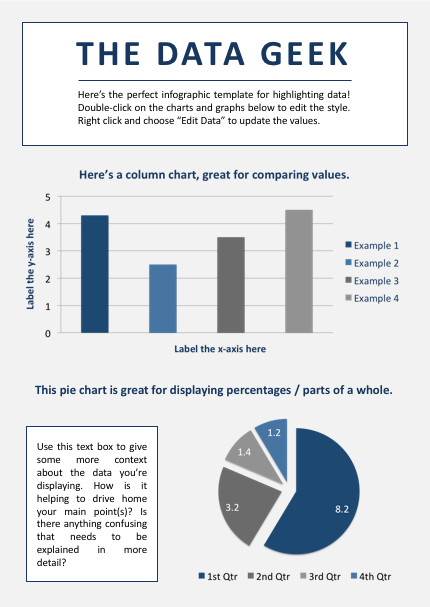 If you like to create charts using Microsoft Excel, you're in luck -- it also offers compatibility with Excel through Infogram Charts. Also, their infographics are responsive with mobile devices. As a content marketer, you might feel more comfortable creating written content than visual content, but that's no excuse to exclude infographics from your strategy. Visual content is growing in demand from your audience, and infographics are particularly shareable. We've created the backbones of 15 different templates that you can easily play around with to customize for your content and audience -- here's a sneak peek of one template, and you can grab the rest here. 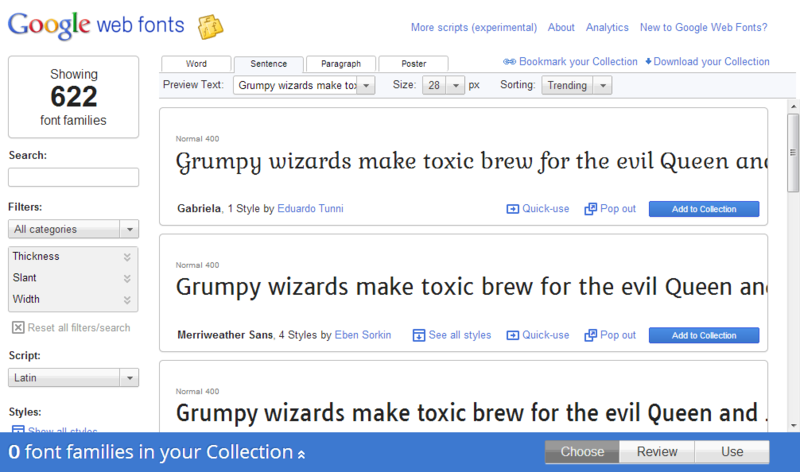 Want to spruce up your site pages, presentations, ebooks, and other content with cool and different new fonts? Little-known fact: Google has a directory of 600 free fonts ready for you to download and use. Remember that time you wanted to match your call-to-action design to that color you were using on all your event swag ... but the one person who would know what that color was didn't work at your company anymore? Next time that happens, snag a picture of that swag and upload it to ImageColorPicker.com, or use any image URL to do the same thing. Select any point of the picture, and immediately see its corresponding HEX, RGB, and HSV values. Is there anything more boring than a PowerPoint presentation featuring black text on a white background? With the help of these templates, you'll be able to put together compelling, visually appealing presentations. Whether you're driving lead generation or reporting on your blog's growth to your team, keep your audience's attention with these eye-catching presentations. SlideShare doesn't need to be daunting. You can easily create shareable, embeddable SlideShare presentations in PowerPoint with the help of these templates -- no need to start from scratch or hire a freelancer. Once you've created your first presentation, check out our guide to marketing SlideShares successfully. If you've ever had to create a PowerPoint or SlideShare presentation in a pinch, you'll wish you knew about Haiku Deck. This tool helps you quickly find simple layouts, beautiful images, and great fonts. It's available for the web and for iPad. Want to see what one looks like? Below's an example I pulled from their list of featured decks. Note the simplicity of the design -- if you want to create super detailed slides, this may not be the right tool for you. Searching for and buying stock imagery can be a pain in the you-know-what -- especially when it comes to deciphering legalese for different use cases. I have a liberal arts degree, and Nietzsche was easier to read than whatever legalese stock imagery companies tended to give me. All I wanted to know is whether to cite or not cite a stock image of a laptop. Why was it so hard? That's why our team decided to create a library of 550+ free and royalty-free stock photos. Whether it's a unique image needed for an ebook or that perfect photo you want to add to a blog post, that collection should have you covered. 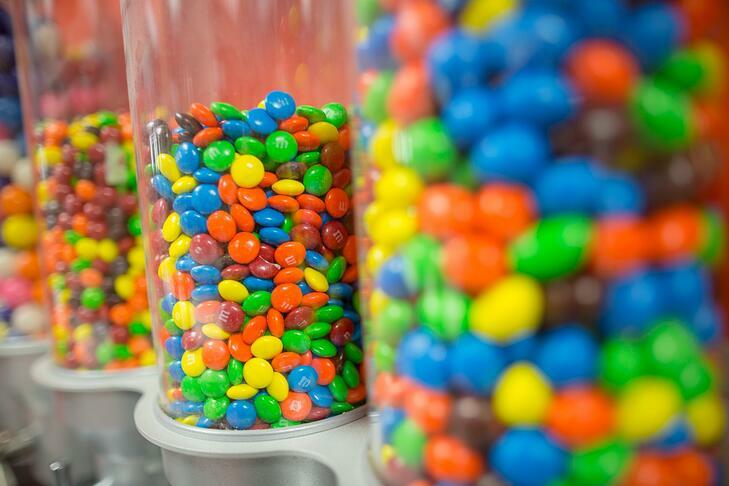 Here's one of our "around the kitchen" stock photos -- yum. PlaceIt serves a very specific purpose: It allows you to upload images of your site or product into real-world environments of people holding phones, tablets, and laptops. PlaceIt will automatically alter the image to make it appear natural with the angle of the phone's screen -- which will save you time learning and/or editing in more advanced software to get the angle right. You'll have to pay per image to get really large or high-resolution versions, though I've found free images work just fine for blog posts and product page content. The paid downloads also remove that PlaceIt watermark from the bottom right. 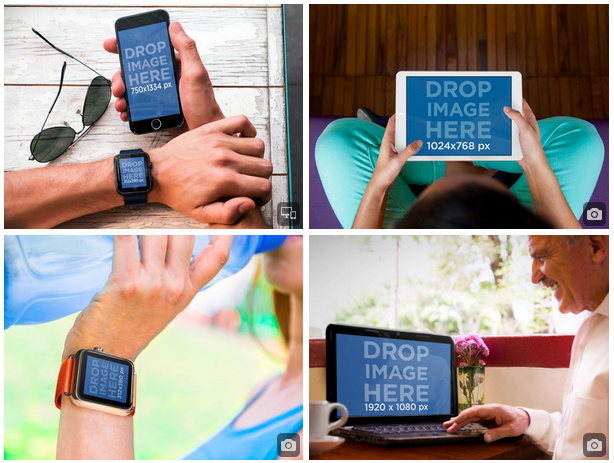 Looking for the perfect GIF to include in your blog post? If it doesn't already exist on Giphy, you can make one yourself using LICEcap. Film a screenshot and turn it into a GIF using this handy, free tool -- we use LICEcap for our blog posts, too. Like with stock photos, another challenge content creators face is finding elegant icons that resize without getting all fuzzy. There are a few resources out there for great, resizable icons. The Noun Project is an extensive library of thousands of icons uploaded by contributors. With a free account, you can use icons as long as you either give credit to the creator or purchase them royalty-free for $1.99 apiece. HubSpot has a library of resizeable icons, too, which you can download for free and without any licensing or attribution. The kit comes with a free guide for how to change the color of the icons using PowerPoint, Photoshop, and Illustrator. The tools and resources listed above can help you create, but it's ultimately up to you to control the quality of your content. You still need to know your customer incredibly well, understand what challenges they face that your product or service solves, and create content that helps them address those challenges. The brains and heart behind the content creator trump the code behind any tools and technology -- and that's a good thing for succeeding in marketing today. What other tools or apps do you use to create content more easily? Leave them in the comments so we can extend this list right here! Editor's Note: This post was originally published in December 2013 and has been updated for accuracy and comprehensiveness.